It’s not easy to pick a good gift for people, especially if you don’t know much about them. This often places business owners in a dilemma around holiday seasons and other such occasions. You want to give your business associates, employees, and regular customers a gift, but more often than not, the effort falls flat. You want to give them something that’ll be useful and appealing, but most corporate gifts are dull and predictable. That’s why at Ezy Mugs, we recommend a personalized coffee mug. Why A Personalized Coffee Mug? Durable and Useful – Durability and usefulness are some of the most appealing aspects of coffee mugs. Everyone who drinks coffee or other such beverage requires a mug so it’s always inevitable that the recipient will use the gift. People who don’t drink coffee might actually use it as a pen stand or a small flower pot. The mugs are made of ceramic so you can be certain that they would last for a long time unless they fall and break. Versatility – You have considerable amount of control over the design on the mugs. This means that you can easily choose to print something other than your company logo or name. You can always add an interesting, unique, or humorous image or quote to the personalized coffee mug. That would make the mug more appealing to your associates and customers and subtly promote the brand as well. Easy to Order – These products are absolutely hassle-free and easy to order. You won’t have to personally visit a brick and mortar and waste precious time. If you have a particular design in mind, all you need to do is upload that design to the website, select the size, shape, and quantity of cups, enter your shipping details, and make the payment. The cups would be delivered to your doorstep, ready to be distributed. As you can see, personalized mugs are nearly perfect as corporate gifts. They’re usually quite affordable as well. You won’t have to spend thousands of dollars to give everyone connected to your business something they’ll appreciate and use. If you’re creative with the design on the cups, you can be certain that your coffee mugs won’t be dull or predictable. 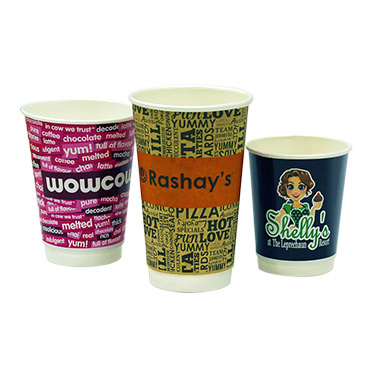 If you want to give our personalized coffee mug a try, you can easily place an order with us at Ezy Mugs. We’re an Australian-owned and operated company that can deliver products to any corner of the country if you order a minimum of 36 pieces. Have any questions and comments? Feel free to contact us through our website or give us a call on 1300 753 675. We’ll be happy to help you in any way possible.